New Delhi, 8th February 2017: Delhi Waveriders finally earned their maiden victory in the fifth edition of the Coal India Hockey India League with a sensational 8-1 home game win against Uttar Pradesh Wizards. It was double goals by Mandeep Singh (4′ and 30′), Parvinder Singh (57′) and Austin Smith (58′) who ensured the home team bagged five points from the game. Desperate to register a win in the league, Delhi Waveriders began on a positive note vying to dominate early on and they did exactly that. 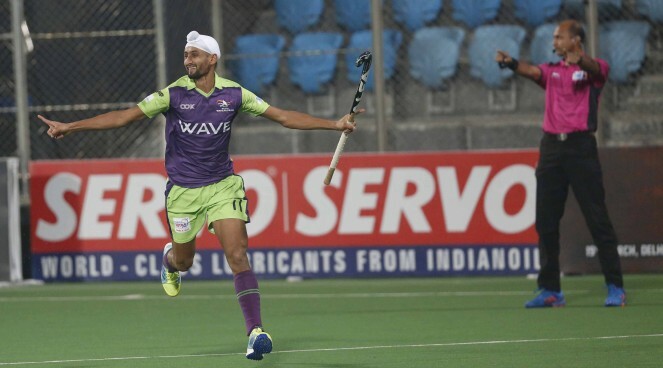 Mandeep Singh, who played a key role in creating as many as eight circle entries for the home team on Tuesday against Jaypee Punjab Warriors, struck in only the 4th minute of the game. He made a rapid entry into the circle, beat the defenders to take a powerful strike at the goal. There was little Uttar Pradesh Wizards’ celebrated goalkeeper PR Sreejesh could do to deny the home team a 2-0 lead. Almost immediately, Delhi Waveriders earned their first PC, thanks to Mandeep Singh who was in great nick but Justin Reid-Ross was unable to convert it. Meanwhile, the visitors earned two back-to-back PCs in the 11th minute, however, the Argentine Olympic gold medalist Gonzalo Peillat was not at his impressive best as his attempts were padded away by Delhi Waveriders keeper Vincent Vanasch. But they didn’t make the same mistake when they bagged another PC in the 14th minute of the match. This time it was the Uttar Pradesh Wizards skipper and most experienced dragflicker VR Raghunath at the strike and he was absolutely on target, sending the ball like a bullet into the left top corner of the net, ending the first quarter with a 1-2 deficit. The visitors kept up the pressure into the second quarter by winning a PC in the 24th minute. A near-perfect injection by Agustin Mazzilli saw VR Raghunath take the flick again but the fiercely struck ball was brilliantly saved by Vincent Vanasch denying the visitors a chance to equalize. The quarter, however, ended on a great note for the home team as they fetched a 4-1 lead in the 30th minute of the match. It was Junior World Cup hero Mandeep Singh again, who continued to be impress when he overcame a tense scramble in the circle to convert a field goal beating Sreejesh. The third quarter witnessed the home team defend their lead, playing a structured game giving little chances within the circle. Though the visitors won another PC, a poor attempt by Raghunath and Peillat with an innovative set-piece dented their chance of scoring. The visitors made desperate attempts to come back into the game in the final minutes of the match, but the Delhi Waveriders were relentless in their efforts to stay on course to their first ever win in the fifth edition of the Coal India Hockey India League. A great work in tandem between Junior World Cup winning teammates Parvinder Singh and Mandeep Singh who showed class when they scored a sensational field goal in the 57th minute that sealed the winning points. Austin Smith scored his second field goal in the league with a splendid strike in the 58th minute taking the home team’s winning score to 8-1. Mandeep Singh of Delhi Waveriders was awarded with a prize money of Rs 50,000 for scoring the Coal India Goal of the Match from Shri B.K. Panda, Director (Personnel), BCCL, Coal India Ltd.
Harjeet Singh of Delhi Waveriders won the prize of Rs 25,000 for being the Hero Young Achiever of the Match from Mr. Harbinder Singh, Olympian. The Airtel Most Entertaining Player of the Match was awarded to Vincent Vanasch of Delhi Waveriders that came with a prize money of Rs 25,000 and presented by Brigadier H.J.S Chimney, International Hockey Player. Mandeep Singh of Delhi Waveriders was declared the Man of the Match and was awarded a prize money of Rs 50,000 by Captain J.S Randhawa, Director, Wave Group. 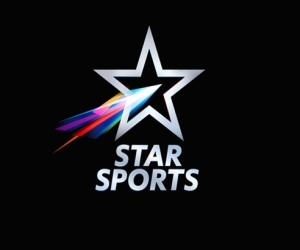 On 9 February, Jaypee Punjab Warriors will take on Ranchi Rays in Chandigarh at 1900hrs.